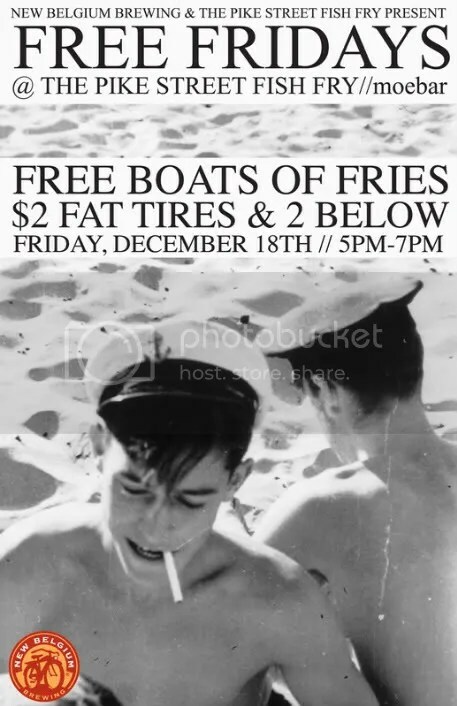 Friday, December 18th the Pike Street Fish Fry will be giving away free boats of fries to showcase their amazing fries. $2 pints of Fat Tire & 2 below! Fries will be available in both the Pike Street Fish Fry and Moebar. Moebar New Belgium beers will be $3. 5pm-7pm. Free Fry Fridays will take place every 3rd Friday from here on out!